"We say that slavery has vanished from European civilization, but this is not true. Slavery still exists, but now it applies only to women and its name is prostitution." Human trafficking still exists in the world today simply because it results in profits for those in charge. By exploiting persons, it generates billions of dollars in illegal profits. Unless the demand disappears, human trafficking will continue to be one of the largest criminal industries in the world. Demand is the root cause of sexual exploitation. Stopping the demand will stop the supply. Demand has created the market, and by focusing on the demand we can eliminate it. The prostitution laws are not the only way to cut demand. There are various deterrents that could be used to reduce demand. 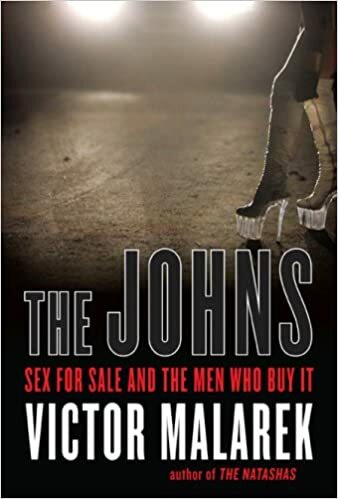 Following up on his scathing indictment of the international sexual enslavement of women in The Natashas, investigative journalist Victor Malarek lays bare the other side of the crisis? —the men who fuel the demand.